Who hardened Pharaoh’s heart? When and why? In attempting to explain what is going on with Pharaoh’s heart, there are several explanations that people commonly give. Unfortunately, most of those explanations don’t consider what the Bible actually says about the story, and don’t take into consideration the deliberateness we see Moses using to describe the events. If we start with the assumption that Moses simply wasn’t babbling (this becomes evident as one studies the details), we actually see several patterns emerge. But in order to see the pattern, we need to list the details. * N/S = Non specified. 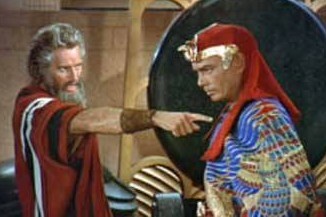 Neither God nor Pharaoh is said to have hardened Pharaoh’s heart. For the record, we will note that it is never said that God softened Pharaoh’s heart. This observation is quite relevant, as it completely undermines the the unstated objective of several attempts to explain what’s going on. God never says that Pharaoh hardened his heart – God always says that He hardened Pharaoh’s heart. God stated first that He would harden Pharaoh’s heart. Pharaoh repented twice, yet God still hardened Pharaoh’s heart. There are many who believe that God only did to Pharaoh what Pharaoh did to his own heart. This point should be cause for pause. Pharaoh never really has a reason for hardening his heart. It is implied to be pride and arrogance. God always has one consistent reason for hardening Pharaoh’s heart: “That the world will know that I am the Lord.” In retrospect, as we consider the story of Pharaoh, if we do not see God’s deliberately harsh actions as evidence of His glory and might (Ex 10:1-3), then we are not getting the message that God intends for us to get – we’re not seeing God as He intends to be seen (which means, we might be seeing a figment of our imagination – an idol). A peculiar instance occurs with the Plague of Hail. We see all three descriptions applied to one heart-hardening event: Pharaoh and his servants hardened their hearts (9:34), Pharaoh’s heart is described non-specifically as being hardened (9:35), and God is said to have hardened Pharaoh’s heart (10:1). These three verses are describing one event and, despite the chapter break, are all sequential. I believe this instance gives us a clue as to what is going on: God and Pharaoh, both together, are hardening Pharaoh’s heart: God, from His throne of sovereignty; Pharaoh from his fallen humanity – both are working in concert to harden Pharaoh’s heart so that God can use him as an example of His glory and sovereignty (10:1-3). Even when we see Pharaoh softening his heart (twice), we do not see God and Moses rejoicing in this positive turn of events – instead, we see God going back in and hardening Pharaoh’s heart. It should be made abundantly clear that nowhere in this book are we given an indication that God intends for Pharaoh to repent. Paul echoes this divine intent in Romans 9. It is God’s intention to raise Pharaoh to this elevated position and that Pharaoh’s heart be hardened and that he be destroyed and that through this, God’s name would be known around the world. Although this document focuses on Exodus, we should note that the rest of the Bible is in agreement with what we see here in Exodus. There are no passages in the Bible that teach that Pharaoh was first to harden his heart. God wants all people to repent. Pharaoh hardened his own heart and Moses didn’t know the difference, ignorantly blaming God for the action. There are a number of problems with this approach. It ignores the fact that God repeatedly gave the same reason as to why He would harden Pharaoh’s heart. God never says that His intention was Pharaoh’s salvation. If God’s intention was for Pharaoh’s salvation, why did God and Moses not rejoice when Pharaoh repented twice? Instead of rejoicing, God hardened Pharaoh’s heart again. Believing that Moses was incorrect ignores the gravity of Moses’ standing as a prophet of God (Deut 18). Lying and dishonest prophets were to be killed and labeled as untrustworthy. God hardened Pharaoh’s heart only after Pharaoh first hardened his own heart. The Bible never implies that God hardened Pharaoh’s heart as a response to what Pharaoh first did. God’s objective and actions were decided before Pharaoh comes on the scene, and God sees it through to the end. His intentions and actions before (Ps 105:24-25; Exo 4:21-23), during (Ex 9:16) and after (Rom 9:16-18) Moses’ interaction with Pharaoh are consistently the same. God didn’t harden Pharaoh’s heart – He simply turned Pharaoh over to his own heart and set him in spiraling downward (Rom 1). It ignores God’s stated intentions with Pharaoh. Rom 9 picks up on this theme and elaborates on it. If Moses misunderstood the events and God’s intentions for Pharaoh, then it would appear that Paul misunderstood them as well. “For the Scripture says to Pharaoh: ‘I raised you up for this very purpose, that I might display my power in you and that my name might be proclaimed in all the earth. '” – Rom 9:17. God’s stated objective was to deliberately bring Pharaoh up to the head of his country for the express purpose of demonstrating His power in crushing Pharaoh so that His name would be proclaimed throughout the world. (Pharaoh was not the firstborn, and not the direct heir to the throne. If he was the firstborn, he would had died in the 10th plague.) If we embrace any other reason for God hardening Pharaoh’s heart, we are walking away from the Bible. If books, movies and documentaries are any indication, it’s worth noting that of the number one story in the Bible being repeated world-wide is the birth, life, crucifixion and resurrection of Christ. The second most often repeated Biblical story is the story of the Ten Plagues, the Exodus and the crossing of the Red Sea. In other words, because of the story of the Ten Plagues, Exodus and Ten Commandments, this story of history is the 2nd most frequently repeated story in the world. This is a good thing. It would be a bad thing if we ignored the reasons God gives for the story.